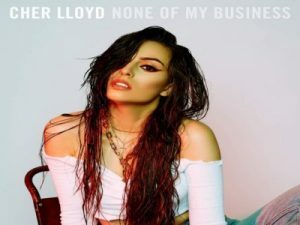 “None Of My Business” is the lead single of untitled upcoming third album of Cher Lloyd. Despite of being pregnant in 2017, the Swagger Jagger singer comes off with the new label. This is her first proper release since 2016’s “Activated”. The song follows Cher as she sings to her old boyfriend, who’s already moved on with somebody else. Cher is happy he is out of her life and only feels pity every time he calls her up to try to get back with her.